But the company came back with a ride-sharing platform available 24/7 for all professional drivers in order to compete directly with Uber and become the European Lyft. The app and the service had known a huge growth since it became available 24/7 in late October 2017. On the French market, Heetch is already live in 6 cities (Paris, Lille, Lyon, Bordeaux, Marseille, and Nice) and plans to launch in Toulouse, Montpellier, and Strasbourg soon. The platform is also live in Sweden, Italy, Belgium, and Morocco. Besides, Heetch has already announced its intention to open in London and other big European cities in 2018. Heetch is a lucrative and easy way for drivers to make money. Thanks to its identity, values and cool brand, the startup managed to attract thousands of drivers in few years, resulting in lots of applications to handle every day. 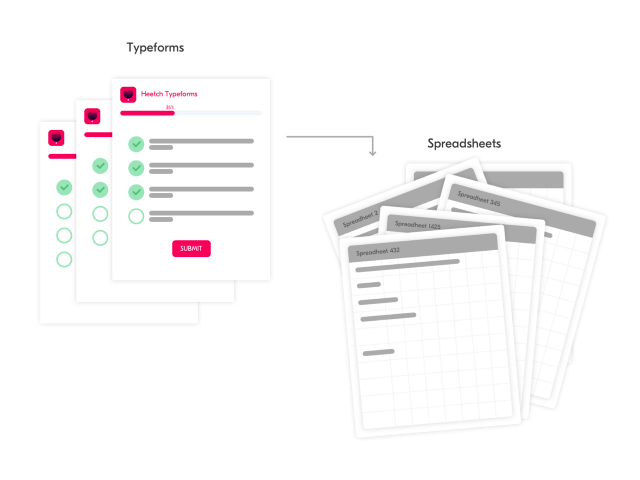 As many growing startups, Heetch team decided to handle all these applications using type forms and spreadsheets connected to each other. It perfectly worked at the beginning, when only tens of drivers were onboarded each week. 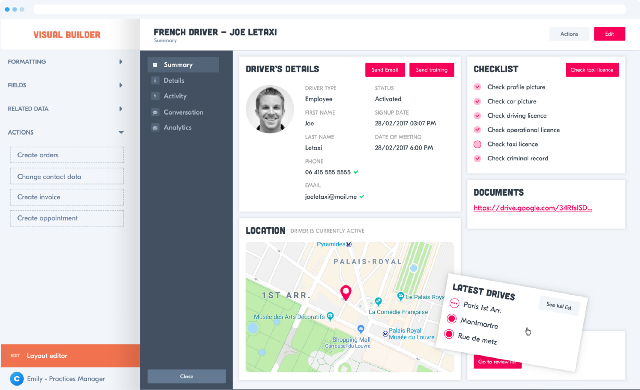 But with more and more drivers asking to join Heetch fleet and data coming in, local teams started to struggle to maintain consistency across all these forms and spreadsheets. In addition to potential human errors during data manipulations, there was no true source of information during this period. This organization wasn’t scalable at all. The situation had to change! Raphael Fenaux (Head of Tools and Processes) is a tech-savvy person but definitely not a developer. Well, it was probably the main reason he didn’t want to setup and try tens of tools to resolve Heetch data reconciliation problem. He knew by experience that they’ll surely be dropped in a month, if not a week by International teams. He already knew Forest by then, and after comparing all the available solutions (home-made admin, Salesforce, …), he decided to give our admin interface tool a try. In just 10 minutes, without any help from the engineers’ team, he set up Heetch admin interface effortlessly. 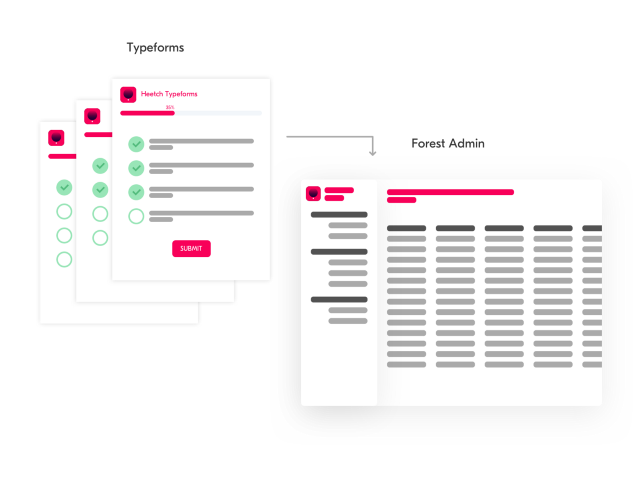 Thanks to Forest advanced features and user-friendly interface, Raphael easily mapped drivers onboarding workflows and consolidated the data, from the different type forms and spreadsheets. He saved a lot of time to his team! On a daily basis, Kristell Hass (Country Manager Belgium) is using Forest to target, onboard and manage drivers in Belgium. 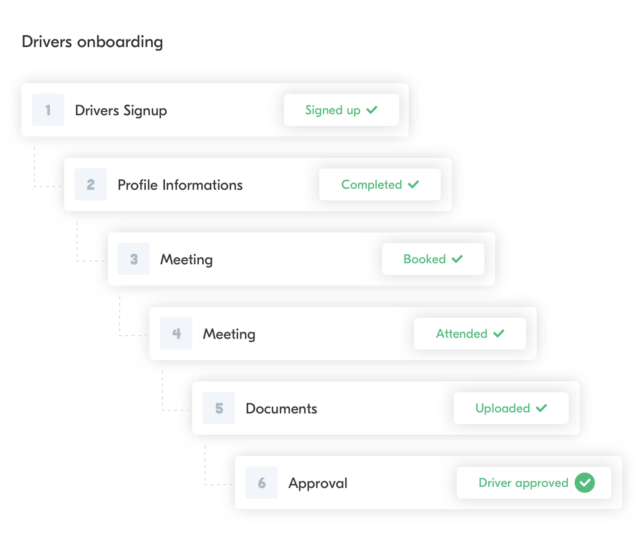 She can instantly have a detailed view of each drivers status thanks to different segments corresponding to the steps of the drivers’ onboarding workflow (shown below). Recently, Heetch rolled out its sponsorship system. When a sponsored driver reaches a certain amount of rides during a certain period of time (impossible to share accurate data on this topic), both him/her and his/her sponsor will be rewarded. It means Kristell has to know who is sponsoring who and how many rides each sponsored drivers had done during a specific period of time. With this information, she can notify by SMS and/or email* each person concerned. Not so complicated but time-consuming when you don’t have the right system to manage these data. Before having Forest setup, she was playing with her Google spreadsheets and personal email for at least 3 minutes… per driver. With more than 200 drivers working for Heetch in Belgium, it would have taken her 10 hours to manage the sponsorship program (which his just a small part of her job as a Country Manager). With Forest, she just needs 10 minutes, regardless of the amount of drivers. No need to say she’s saving a lot of time. Moreover, Kristell and her team are fully autonomous with Forest admin interface. They can modify segments from drivers’ onboarding workflow and optimize data visualization the way they want. From France to Europe … to Mars? Heetch is not a startup anymore. It’s an impressive scale up on its way to becoming the European Lyft and competes directly with Uber. But the company is keeping its startup spirit because when they open new country, it’s almost always like creating a new startup with the group. Forest solution helps them in this area. 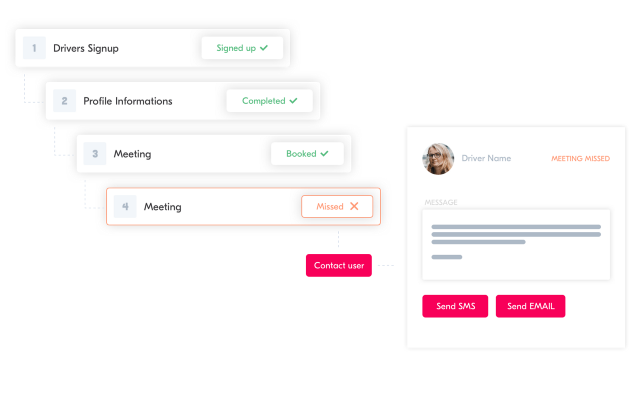 Indeed, our admin interface allows them to scale their Ops from a country to another one in no time while taking care of all local differences (culture, legal, operations, wording…). On average, Raphael only needs 30 minutes to create and deploy a new workflow, smart action or dashboard in Heetch admin (and to every International team) while it used to take 2 to 3 days work before using Forest. To conclude, Forest saved a considerable amount of time to Heetch International teams while helping them to easily manipulate and reconcile data. In addition to a greater autonomy, these teams were able to grow their business way faster than they could have ever dreamed of.